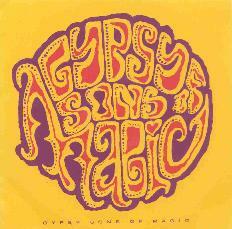 Gypsy Sons of Magic are a Swedish band from Skelefteå, the same town as the Spacious Mind. This young band have a great rocking style very much like the Black Crowes with the Hammond organ sound taking the lead. According to the biography, the band have quite a reputation in the north of Sweden for totally rocking shows and this energy is captured well on the CD. The tracks were recorded in Umeå at the same studio and with some of the same people who have worked with the Swedish bands, the Hives and Refused. The three songs here are well produced hard rocking tunes with lyrics about freedom and love. Good playing and songs that I enjoyed a lot but nothing new or original with this band. Check them out! For more information you can visit the Gypsy Sons Of Magic web site at: http://www.kulturframjandet.com.